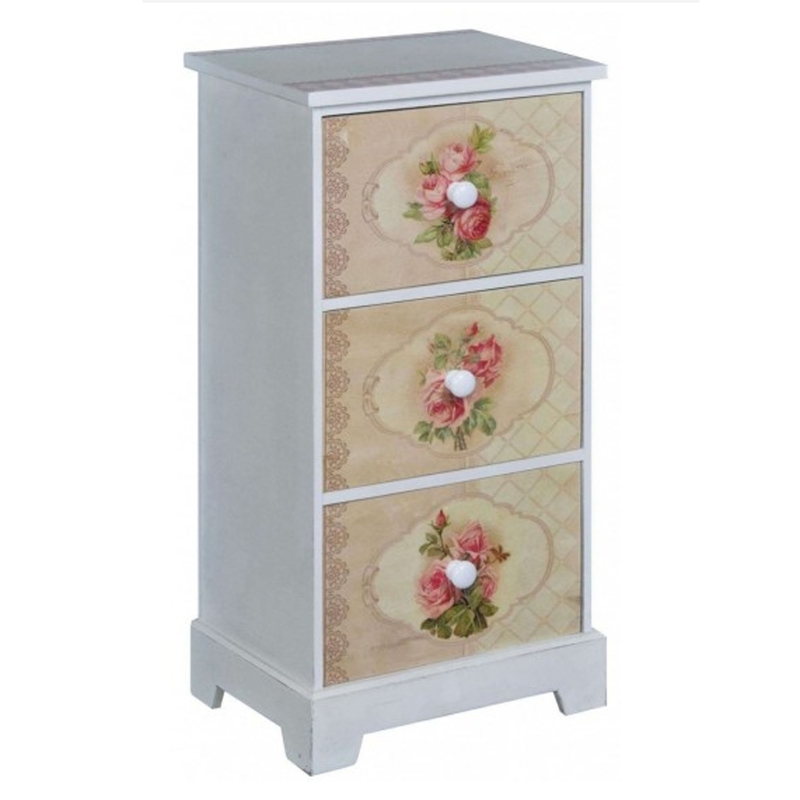 This is a stunning chest of drawers with a gorgeous vintage design on the front of the drawers. This would look magnificent in any room, certainly giving the room essences of homeliness and elegance. This shabby chic drawer chest is truly beautiful, it'd be a perfect addition to any home.